Still being a student to acquire more knowledge and earn remarkable skill and writing ways to share my knowledge through blog posts. Humbly requesting some outstanding content writers to join with my hands not as a helping hand. Because I do accept the po wer of fresh and good content of a website. Here I include the Mobile SEO Importance and some tips that might help you in optimizing your site. The increase in the number of mobile internet users urges every company to optimize their website compatible for mobile users. Here lies the Mobile SEO Importance. The various steps initiated by companies reveals the importance of mobile SEO optimization. The main reason for this is the Google mobile operating system Android. High increase in the usage of smart phones, i phone for browsing and search also highly increased the possibilities of Mobile SEO optimization. Recently Google conducted a massive campaign for web master tools users and adsense publishers. It instructed them to utilize maximum gain from mobile internet users. Google help forums and supporting videos show that they are implementing large level features. This features are for customizing Google ads and ad formats. These formats are compatible with mobile devices, smart phones and android phones. For each and every revolutionary changes occurred there were great shift in each and every cases. Change became the part of our life. So is in the case of search engine optimization. At the initial phase simple optimization works like title, Meta tags, header tags, anchor optimization were conducted. These were conducted as part of getting best visibility for the projects or websites. Later Google themselves shared more details like pointing links, easy crawl able, through their web master tools and guidelines. And also about the optimization works including the practices like link building, email campaigns etc. Those were for utilization of maximum possibilities opened with the increase of internet users and competitions emerged in various business. In the next phase of search engine optimization, many changes were included in practice lists. This was because of the sudden tempo of social media websites and social networks. The social network websites captured a wide range ofand users and reputations throughout the web. Then the search engine optimizers utilized many of its possibilities in their off page optimization practices. And now in the current phase of SEO, there are many chances in their choice of mobile optimization. Now the scope of business conversions from mobile internet users were greatly understood. So day by day about thousands of website owners are deciding to open a mobile version of their website. 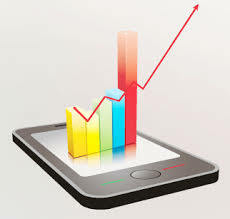 Mobile SEO optimization will bring quick results. My personal experience reveals that, web master tools search results shows that, there is high increase in the percentage of impressions and clicks in most of my projects. This was obtained through smart phones and mobile devices. Actually the change is very high. One of my project which is partially optimized for mobile devices and smart phones achieved about 12 % of clicks. And also a high percentage in number of page impressions from mobiles and smart phones. It is true that the changes increased double when checking the details of April 2012 alone. So I am personally happy to see the positive achievements. There is some meaning for my patient efforts for conducting some optimization works for mobile devices. I was really amazed to see the increase in page impression and click rate improvement. But I compared the query details the project got, on that particular time span. It was wonderful to know that the conversion percentage was almost 50 percentages. So I simply added some SEO optimization steps aiming mobile internet users. It was later included in our work plan and work schedules and informed the project owners. Most of my clients located in United Kingdom and United States approved our proposals for inclusion of mobile optimization with special thanks. Change your classic type of web design and templates. Demand a responsive web design from your web service team. Check the website pages in different browsers. Check your website is quickly loading in all devices like Tabs, smart phones, mobile etc. Open your website in mobile browsers, PDA browsers etc. Make sure that it is easily and correctly opening in those browsers. If you analyze the number of visits coming through mobile devices and its page conversion rates, you can identify that your website is compatible to mobile devices. These are the important steps that include in the mobile SEO.